Home > Blog > Sound > What Is Vibration Therapy? Vibration therapy uses vibrations created from sound to treat pain, muscle stiffness and other conditions, as well as help your body heal after an injury, like a broken bone. How does vibration therapy work, though? And how effective is it? We have the answers to your questions, and much more, below. 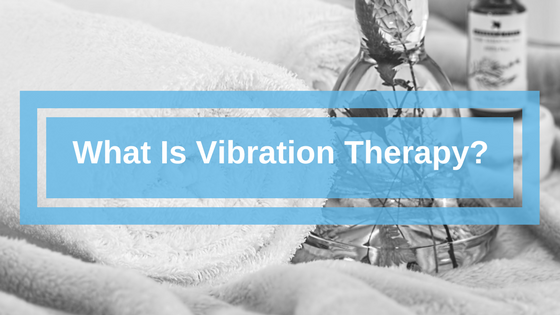 We know vibration therapy uses vibrations, but how does it affect our body, bones and muscles? Vibrations cause your muscles to contract and relax, as well as make your bones produce osteoblasts, which are responsible for making your bones. Whole-body: As you may have already guessed, whole-body vibration therapy encompasses your entire body. During this kind of treatment, you’ll stand, sit or lay down on a machine that rests on a platform. This platform then vibrates, sending sound waves throughout your body and causing your muscles to contract and relax. Localized: Instead of a platform, a hand-held device is used for localized vibration therapy. Like whole-body vibration therapy, you may sit, stand or lay down depending on the area you’re treating. For example, if your calf or thigh muscles are being treated, your doctor may have you lay down and then turn on the device. Platforms and hand-held tools for vibration therapy vary in their types of waves. Platforms, for instance, may only produce vertical vibrations, while a portable device may create horizontal and vertical sound waves to reach your muscles. Doctors can even customize the frequency and intensity of vibrations depending on your condition. If you have one of these conditions, your physician may suggest an alternative treatment like physical or massage therapy in addition to diet and exercise changes. Research also shows vibration therapy can stimulate the formation of new bone, through the production of osteoblasts. Studies have also found that conditions like MS, rheumatoid arthritis and Parkinson’s disease have seen improvements in their physical health. MS patients increased their quadriceps and hamstring muscles’ strength over a period of three weeks, while Parkinson’s patients experienced a short-term improvement in muscle tremors and rigidness. People with rheumatoid arthritis perhaps had the biggest positive effect from vibration therapy. Their amount of functionality increased, and their fatigue decreased just from two 15-minute sessions each week for three months. A significant research challenge of vibration therapy is that the intensity and frequency influence its long- and short-term effects. Because of this factor, it’s difficult to reach a conclusion that defines every patient. Two 15-minute sessions may improve one set of patient’s symptoms, but another group of participants may need three treatments to see results. Even with these research challenges, it’s clear that vibration therapy does benefit many patients and offer relief from painful conditions like rheumatoid arthritis. It’s just another service that sound provides. Want to learn more about how sound is contributing to the medical field? 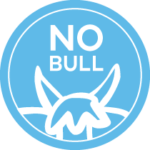 Join the herd then by subscribing to our Bull Bulletin. We’ll send you the latest news and information about vibration therapy and more.